In electrifying color and exquisite detail, this survey of Kvadrat, the renowned Danish textile company, tells the complete story from inception to collaborations with world-famous visual artists and designers.§§One of the world's leading textile manufacturers, Kvadrat has been a pioneer of Scandinavian style for four decades; its fabrics have become essential components of the most exquisite modern interiors. From the classic designs of the 1960s and 1970s to the vibrant, ecologically and technologically advanced styles of today, Kvadrat has worked with some of the icons of 20th-century art and design, including Nanna Ditzel and Verner Panton, and nurtured important relationships with many of the world's most creative artists, architects, and designers, such as David Adjaye, Patricia Urquiola, Roman Signer, Thomas Demand, and Ronan and Erwan Bouroullec. 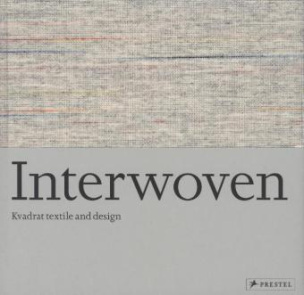 This beautiful volume, designed by Graphic Thought Facility, celebrates the textiles of Kvadrat, drawing a thread from its deep roots in the coastal landscape of Denmark to a herd of Icelandic sheep bred and reared by artist Olafur Eliasson. 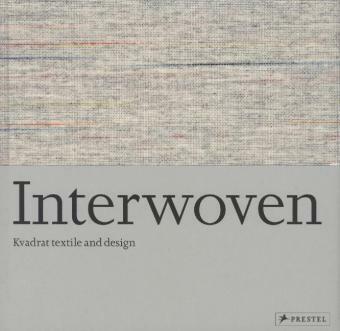 Filled with color photographs and fascinating texts, the book highlights specific themes that characterize Kvadrat's association with the likes of Tord Boontje, Akira Minagawa, Finn Sködt, and Sevil Peach, as well as its influence in the field of textile design in offices, entertainment venues, and the home.